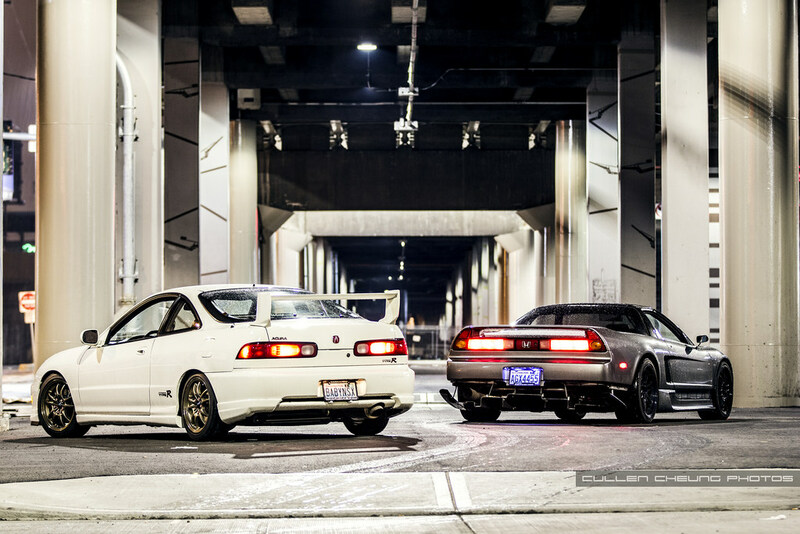 NSX vs. Baby NSX – MoMoHitsTheSpot! The first question that came to my mind when I saw this set was, “How can you not like, I mean, LOVE these photos. A tastefully modified NSX and a sensational Integra Type R together in one set is just an absolute Honda enthusiast’s dream come true. And the fact that these two are rocking authentic goodies throughout makes this shoot that much better. Photos by Cullen Cheung, you guys can check out the rest of the set on his —–> FLICKR account. That Integra is gorgeous! The NSX is too but it is getting hard to find a clean and simple Type-R. True Honda passion. Beautiful machines!